Many headline-worthy stories emerged in the days after Hurricanes Harvey and Irma touched land. One that stands out is news of 11 Hollywood Hills residents dying amid South Florida's evacuation chaos. Fingers are pointing in all directions as the residents were all under the watchful eye of The Rehabilitation Center, a privately-owned nursing home in Hollywood Hills, Florida. Given that the private care industry is worth billions and is growing each year alongside the baby boomers' medical care needs, are these 11 deaths the canary in a coal mine for the private care industry? Regarding culpability, The Rehabilitation Center, which is owned by Larkin Health System, LLC, claims four voicemails were left on Florida Gov. Rick Scott's cellphone voicemail within 36 hours while Irma was wreaking her havoc. The voicemails allegedly left details about the Center's failed air conditioning system, but we won't ever know for sure because Scott has already deleted the voicemails. Scott's administrative failure is one thing, but it should also be noted that the Center was located right across the street from a hospital. This has people begging the practical question: How could this happen? Why weren't jeopardized Center residents moved to the hospital? Whose fault is this? As the police investigation continues, residents' families, friends, concerned citizens, industry entrepreneurs and government regulators ask: What lessons can the private care industry learn from this tragedy? Since news of these deaths began making headlines, many critics have contextualized this neglect as part and parcel of the systemic neglect that private care residents receive. Let's be frank: private, for-profit, care will always come under scrutiny because it gives the impression that facility owners are more focused on profit than residents' medical needs. Not to mention that adequate elder care is already a sensitive and personal hot-button topic for the general public. For the industry, it's already an uphill public relations battle without scandals like this one in Hollywood Hills. Instead of conjecture, let's take a look at some facts. 2011 saw the first large-scale study, published in the British Medical Journal, on the ten largest private care chains in the United States. According to the Center for Medicare Advocacy, in the years 2003-2008, these private chains had lower staffing levels and the highest numbers of deficiencies causing harm or jeopardy to residents (as identified by public regulatory agencies). Another study by the Government Accountability Office (GAO) in 2011 also reports the top 10 private equity firms wield higher levels of profit, but with that comes higher overall care deficiencies and lower staff levels. In 2007, the New York Times reports that nursing facilities owned by private equity firms are 41 percent more profitable than nonprofit facilities. Is it possible that the private care industry makes its money, in part, by reducing staff levels, thus jeopardizing resident care? People sometimes choose for-profit over nonprofit facilities because they have had negative past experiences using nonprofit facilities. By contrast, private facilities can appear to provide better quality services overall. 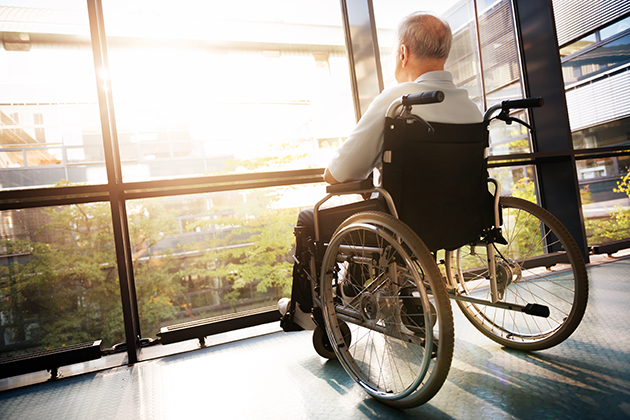 For example, according to the Nursing Home Law Center, privately-owned care facilities report fewer serious deficiencies overall. But detractors suggest that this statistic may be a result of private care entrepreneurs focusing their attention on serious deficiencies that generate the highest fines. It may be difficult to generalize about what motivates private care entrepreneurs, as there is such a wide diversity of people and facilities involved. As the investigation continues into these tragic Hollywood Hills deaths, one thing is clear. In a booming market dominated by 10 private equity firms controlling nearly 20 percent of all for-profit elderly care facilities, the issue of accountability and government regulation will be front and center as we move forward. One GAO investigation reported that the federal government only had limited access to "buyout groups' common ownership of hundreds of facilities" because of the way firms structured the acquisitions. As people call for more government regulation of the private care industry, it's important to remember that mystified financial relationships will make regulation a difficult process. In the meantime, we should remember that not all private facilities are owned by the largest equity firms in the market. The industry has many players, with much to lose and gain on all sides. Diligent medical care advocacy remains central for ensuring the best care for sick and elderly members of our communities.